Neo-Metro ® is a leader in innovative design solutions for any and all residential, hospitality and commercial applications. 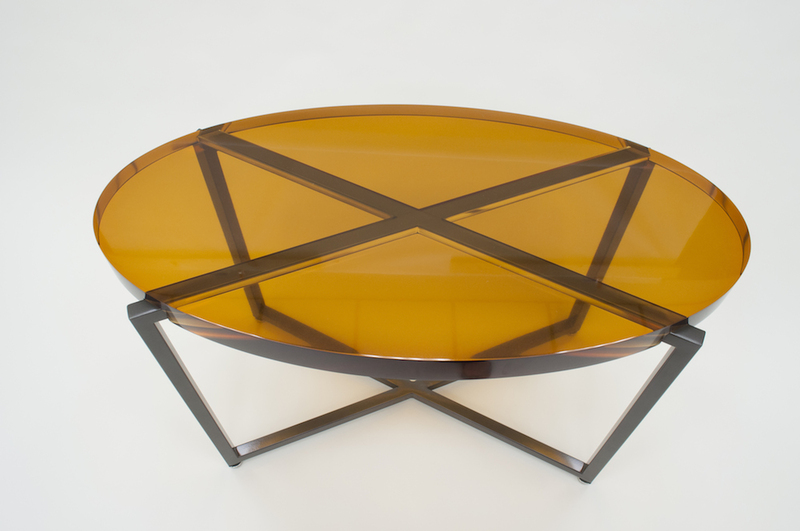 While our standard products meet the conditions for most design requests, we also eagerly welcome custom submissions to meet the various needs of our devoted clientele. We are capable of matching and fitting any Neo-Metro luxury plumbing, furniture, or solid surface fixture with all existing home or renovation designs. Discover how Neo-Metro’s team of dedicated engineers, project managers and manufacturing staff can construct any unique design ideas from concept to completion. We openly welcome custom requests in order to meet all desires and necessities of your application and facility. 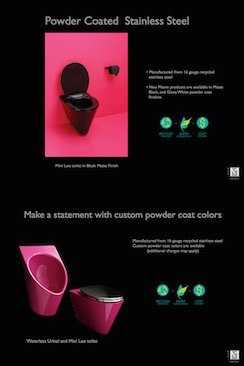 Available in a variety of different custom polish finishes, powder coatings and designs, stainless steel is the ideal material for custom basins, toilets and fixtures. Stainless steel can be cut, formed and welded to create any integrally seamless piece, ideal for all home, hospitality and restaurant applications. 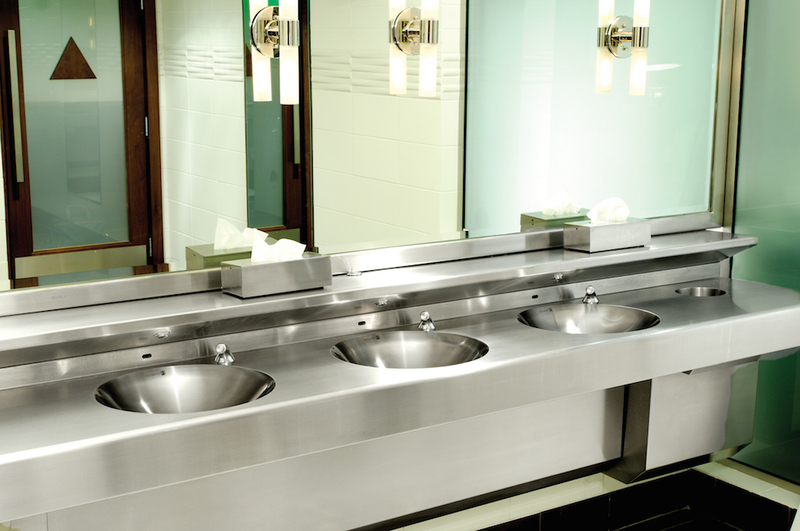 Highly durable in a wide range of project applications, stainless steel fixtures outlast the vast majority of similar products manufactured from alternative materials. 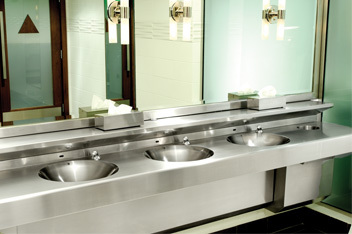 Neo-Metro uses 80% recycled stainless steel, a green solution hard surface material that will not chip or corrode. It is impact resistant, highly resilient and makes for fixtures that are sturdy, functional and hygienic. Neo-Metro offers several custom options for cast resin, a very strong and attractive material which will last indefinitely if maintained properly. Custom poured resin is a unique and colorful alternative for any countertop application, and the options provided by cast resin are virtually endless. Resin can be poured and shaped to fit any existing space, providing for hassle-free design and installation. 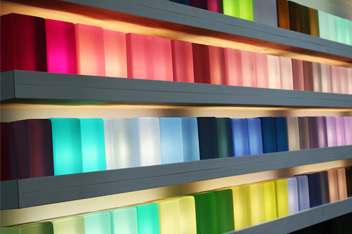 Looking for a custom resin color? We can match it! 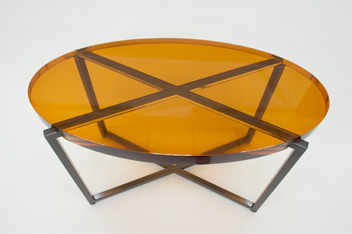 Just provide us with a Pantone ® color number (available at Pantone.com) or an actual sample. Looking for something a little brighter? 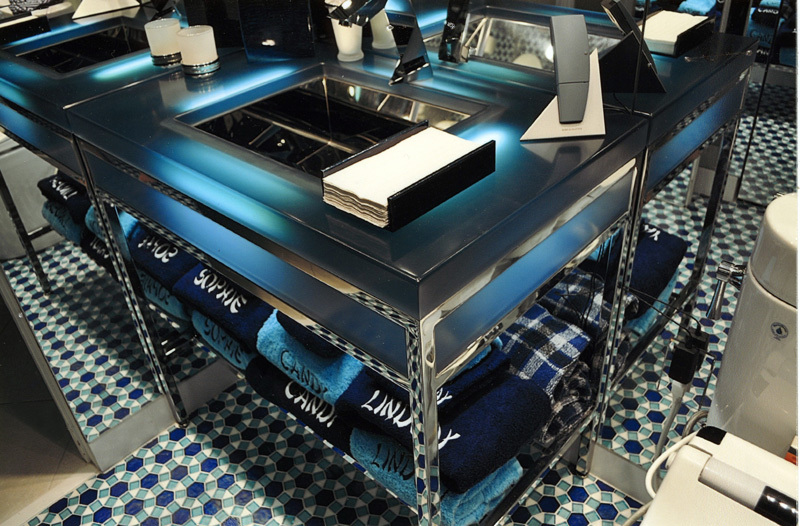 We can install custom LED lights into your resin countertop for a visually stunning & night-friendly glow, perfect for trendy nightclub or hospitality applications. Neo-Metro’s solid surface material is an unsaturated polyester resin that can be cast into any size or shape, allowing for highly customizable and unique designs and applications. Our solid surface material maintains excellent shock performance, is resistant to cracking and is 100% vandal proof, providing for years of stability and performance while always maintaining its contemporary design. 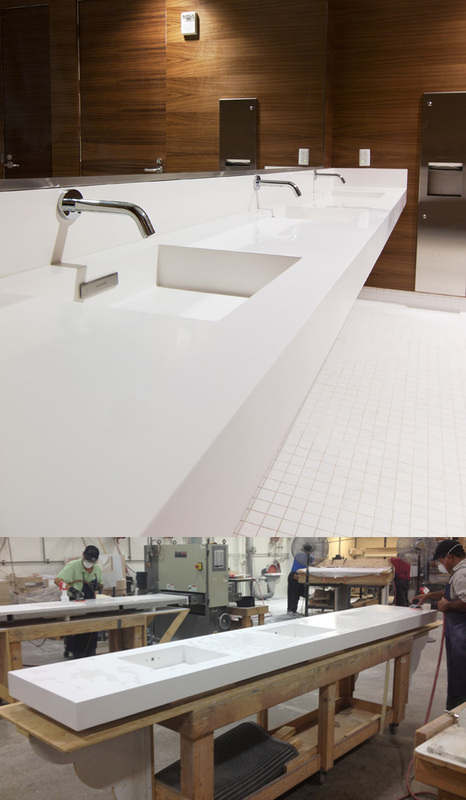 Our cast solid surface material is available in three standard colors (Blanco, Grey Goose, and Anise), maintains a consistent color throughout. Go from bleak to chic with Neo-Metro’s optional powder coat option, available with any stainless steel luxury plumbing fixture. 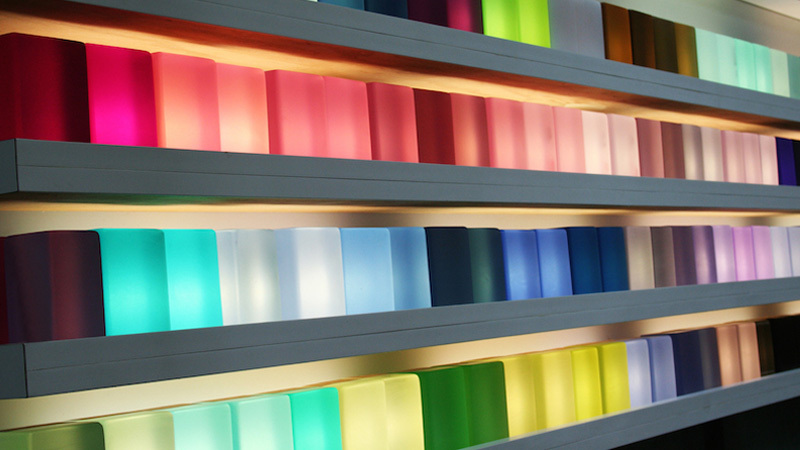 Custom color powder coats bond with Neo-Metro’s integrally seamless fixtures, a colorful alternative which outlasts the vast majority of similar products manufactured from alternative materials.